Governance-related problems can be solved in the state only by the expansion of the common service centres, said UK Sinha, chairman, securities and exchange board of India (SEBI). “Delivery of services through common service centres is a great step by the government. You need to channelise the energy to make dreams of financial inclusion in the state,” said Sinha. Elaborating on how the state is lagging in terms of capital market, Sinha said, “8,700 companies are registered in Bihar, only two of them are listed. When coal India public issue came, only 12,700 applicants came from the state. It is just half percent of the total state. Bihar still lags in terms of capital market and it is necessary that the state gets connected with the capital market,” Sinha added. Bihar’s contribution to the mutual fund market is just Rs 1509 crore assets under management. Only four states are lower than Bihar’s figure. It comes around 0.42 percent in the mutual fund. “They have just 24 offices of mutual funds in Bihar. There is no office of any depository participant in the state. There is just one registered broker in the state. Just one thousand broker terminals exist in the state. It is just below one percent of the whole country,” he pointed out. 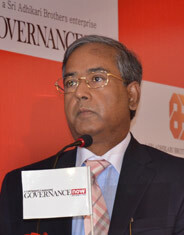 Sinha said that private participation – private equity and venture capital – is very important in developing the state. “Small and medium industry has to play an important role in the development of the state. They should not only be dependent on the banks. Venture capital has played a big role in development of industries. Only through loans, one can’t do business,” he said. He praised the role of improvement in law and order and growth at a higher rate. Per capita income increased to 60 percent in the last five years in the state while country’s average is 48 percent. “The situation of Bihar is in a take-off stage. There is an objective criteria. There are two ways looking at the issue – from the point of view of common people and other from the investor’s angle,” he said, adding that the state needs to utilise the platform created by the SEBI in financial inclusion. “SEBI has taken a decision that if the companies decide to sell its product outside 15 main districts, then it will give extra commission (0.30 percent). The main purpose is sell mutual funds in the small cities and in Bihar too. In the small districts, people who want to invest in mutual funds can deposit up to Rs 20,000 in cash without a bank account or the PAN card,” said SEBI chairman. SEBI plans to set up a new local office in Patna to cater to investors, market entities and the companies for the state of Bihar. The market regulator’s board in March 2012 approved opening of new local offices in Chandigarh, Indore, Bangalore, Kochi, Patna, Bhubaneswar and Jaipur to help it decentralise operations and more effectively reach out to the investors in smaller cities.